If you’re plagued with chronic bad breath, also known as halitosis, you need a chronic bad breath remedy now. So, stop dousing your oral malodor with alcohol-based mouthwashes, which some experts suggest may be linked to oral cancer. Try this effective natural bad breath remedy instead. Okay, so how do you know if you have chronic bad breath? The problem is, we really can’t smell our own bad breath thanks to a phenomenon called adaptation. Basically, the sense of smell nerves in the nose become accustomed to our own smell. So, barring hearing those three dreaded words whispered into your ear “your breath stinks,” maybe it’s time for a self-examination. Find out if you have bad breath, before someone you love or work with recommends a breath mint. Here are simple methods to help test yourself for bad breath. First, take a piece of unwaxed, unflavored white dental floss. Floss between your upper and lower back molars. Now examine the floss. Is it red or brown? Wait about 45 seconds and then smell it. Does it have a bad odor? If so, then you probably have bad breath. Next, with clean fingers pull your tongue forward. With your other hand and a clean white washcloth, rub or scrape the furthest back portion of your tongue two or three times. Wait for 45 seconds and then smell the cloth. Is there a bad odor? Most bad breath starts in your mouth, and there are many probable causes, beginning with food and tobacco. Food particles in and around your teeth increase bacteria, causing bad odor. The obvious culprits, onions, garlic and spices cause bad breath. But after you digest these foods, they enter your bloodstream and are carried to your lungs, affecting your breath. Tobacco also contributes to gum disease — another source of foul breath. And then there’s poor dental hygiene. When you don’t brush and floss your teeth daily, food particles stick to your teeth, causing bad breath. Plaque forms on your teeth, irritates your gums and eventually turns to periodontitis (inflammation of tissue around teeth). Meanwhile, your tongue also contributes to bad breath, as do dentures that aren’t properly cleaned. Saliva cleanses your mouth by removing particles that cause bad odors. When the production of saliva is decreased, like during sleep, you wake with “morning breath.” It worsens if you sleep with your mouth open. Certain medications may indirectly produce bad breath by contributing to dry mouth. Others are broken down by your body, releasing chemicals that may be carried on your breath. But fear not, there’s a natural bad breath remedy that will work wonders. And it involves two simple ingredients — baking soda and water. When bad breath strikes, your first course of action might be to use an alcohol-based mouthwash. But before you swish, realize there may be adverse side effects to using commercial mouthwashes. More than 48,000 Americans are diagnosed with oral cancer annually, according to The American Cancer Society. Ingredients in certain mouthwashes are thought to be carcinogenic. In fact, fluoride, formaldehyde and saccharin — all common ingredients found in mouthwash — have been suspected to be cancer triggers. The U.S. Environmental Protection Agency suggests formaldehyde is a “probable human carcinogen.” Studies revealed that rats exposed to formaldehyde ended up having nasal cancer. However, more studies are needed on humans. Baking soda, known as bicarbonate of soda, along with water, makes an inexpensive and natural chronic bad breath remedy. A study conducted by the department of oral biology at the University of British Columbia used two methods for determining bad breath. They found that baking soda reduced participant’s bad breath. 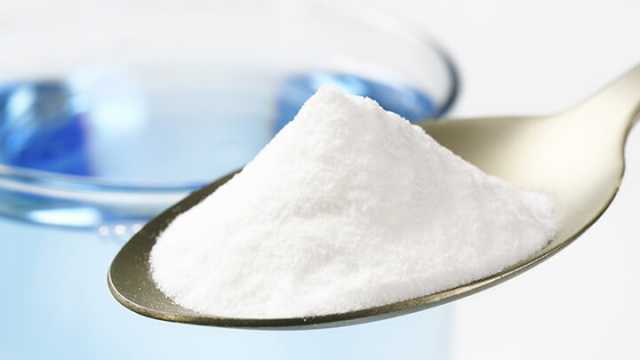 A half teaspoon of baking soda added to a glass of water can rebalance the residue from acid-forming foods. Baking soda can also discourage the formation of plaque and help prevent gum disease. Brush your teeth after meals and even carry a toothbrush to work. Floss at least once a day. Flossing removes food particles and plaque from between your teeth, helping prevent bad breath. Brush your tongue daily. The tongue harbors odor-causing bacteria. Someone with a coated tongue from an overgrowth of bacteria might benefit from using a tongue scraper. You can also use a toothbrush with a built-in tongue cleaner. Clean dentures thoroughly at least once a day or as directed by your dentist. If you have a dental retainer or mouth guard, always clean it before putting it in your mouth. Change your toothbrush regularly. Change it when it becomes frayed, about every three months. And choose a soft-bristled toothbrush. Schedule a regular dental checkup twice a year to have your teeth or dentures examined and cleaned. If your dentist suspects there’s something more behind your bad breath, he or she may refer you to a doctor. Keep your mouth moist by drinking plenty of water. Coffee, soft drinks or alcohol can lead to an even drier mouth. Stimulate saliva by chewing gum. Obviously, foods such as onions and garlic can cause bad breath. But eating lots of sugary foods is also linked with bad breath. Eat healthy foods that stimulate saliva flow such as dark green and orange vegetables. In addition, eat a variety of fruits and proteins including fish, beans, nuts and seeds. Chew on a few sprigs of fennel between meals. 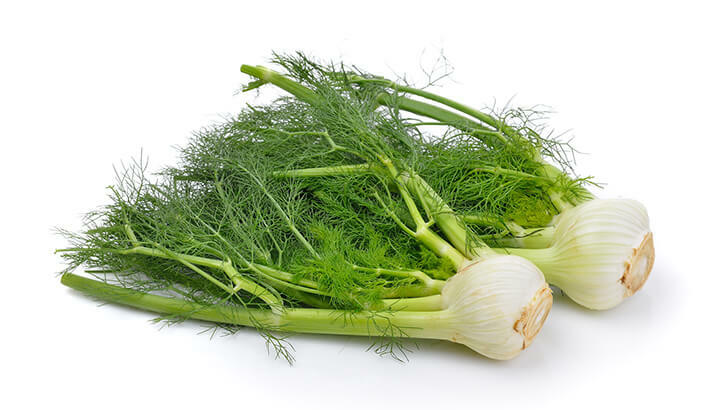 Fennel has been long used by some cultures to sweeten the breath. It also increases the production of saliva and contains numerous antibacterial properties. In fact, to relieve bad breath naturally look to spices. Cloves, in particular, are rich in eugenol, a potent antibacterial. Place one in your mouth and dent it with your teeth. The spicy aromatic oil may burn slightly. So, roll the clove around. Continue to bite the clove until it infuses your mouth, and then spit it out. Don’t use clove oil or powdered cloves. They’re too intense and may burn. Dill and cardamom can also mask the odor of bad breath. Anise seeds, which tastes like licorice, additionally kill the bacteria that grow on the tongue. Meanwhile, cinnamon, just like cloves, is an effective antiseptic. In an emergency where fresh breath is paramount, find some water and swish it around in your mouth. Water temporarily dislodges bacteria and makes breath a little more pleasant. At the end of lunch or dinner, chew on the sprig of parsley that’s left on your plate. Parsley is rich in chlorophyll, which is known to deodorize the breath with germ-fighting compounds. Additionally, the citric acid in an orange will stimulate your salivary glands and encourage the flow of breath-freshening saliva. In fact, eating encourages the flow of saliva, which helps remove the unpleasant, odor-causing bacteria on the back of your tongue. Fresh breath is a sign of a healthy mouth, and a healthy mouth indicates good overall health. Natural remedies are healthier for your body. They’re also integral to fighting and preventing the underlying causes of bad breath — without unwanted side effects. When bad breath strikes, reach for baking soda and water. Those closest to you will thank you.